The Life Of Faith: Lilla Rose Review and Giveaway! I had never been much of a ponytail wearer. I liked to shower every morning, dry my hair and then straighten or curl it. And then I had a baby! While I am still a firm believer in showering, there are days when straightening my hair just isn't an option and a ponytail or halfback becomes my go-to hairstyle. One of my wonderful sponsors Deborah from A Delightful Glow, sent me a flexi clip from her Lilla Rose business to try out. I loved how pretty it made my ponytail look...like I had spent a lot of time doing it! Bonus: it held all of my thick hair and didn't fall out! There are so many different styles you can use these clips for, it's amazing! You can even get flexis for fancier occasions with beautiful strands of beads coming from the bottom like this one. Email Deborah at adelightfulglow at havilandtelco dot com with your order number and the name and item number of the flexi you’d like to receive. I very rarely wear hair accessories, but I would if I had one of these. I like to borrow my daughter's headbands! 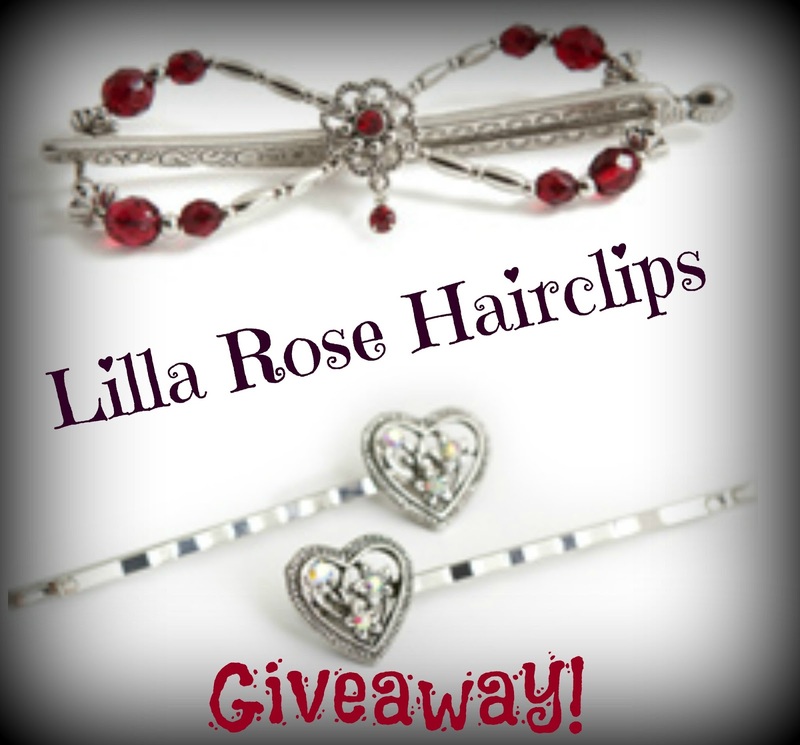 I've never tried Lilla Rose clips before, but they look really cool! I think I'd use them a lot, since I have long hair that is a pain to put up with regular claw clips. Thanks for doing the giveaway! I use hair accessories every.single.day. I these they are so cute and great for my super thick hair! I use hair pretties EVERYDAY! Thank you for a chance to win! I use hair pretties EVERYDAY! I use them a few times a week! I use hair accessories almost every day. I just have one Flex-Clip and the rest of my items are claw clips. I'd really like to learn how to do my styles. I use hair accessories everyday, however I use (gulp) scrunciis on a regular basis. I need Lilla Rose flexi clips to keep my hair up! I love the Hawaiian Flower small flexi clip!